The first is a whole set of hats from Loop in Philadelphia, knit with Debbie Bliss Baby Cashmerino. The hat pattern, rather "hats," is free and you can download it from Loop's online site. The patterns are essentially the same, but as you can see have four different tops and two different bottoms to choose from. The size is for newborn only, a little over 12 in (30 cm) circumference finished. 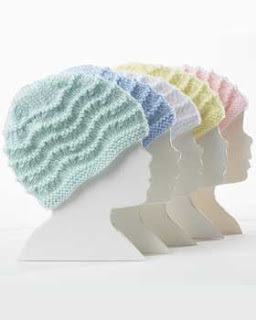 These cable baby hats are worked in the round on different size needles and gauges of yarn to obtain Preemie and Newborn sizes. Julie Hentz uses Debbie Bliss Baby Aran (US 8 or 5 mm needle) for the newborn size and Baby Cashmerino (US3 or 3.25 mm needle) for the Preemie size. She also gives the knitter a choice of the number of cables to use, either 5 or 10 cables. 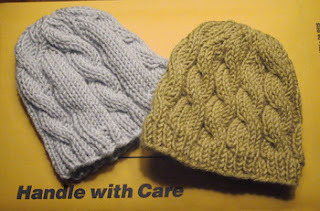 Find Cable Baby Hat patterns behind this link. 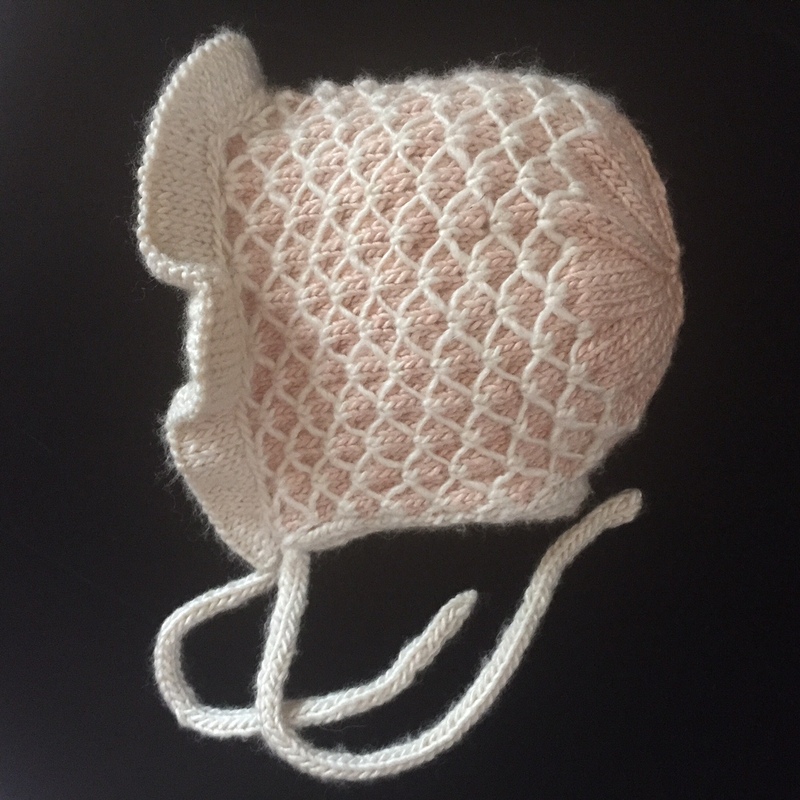 The Bernat baby hat pattern has a touch of lace pattern throughout, a little feather and fan design for a wide range of sizes: preemie to 2 years old. It's knit with Bernat Softie Baby Yarn, which has great yardage at 395 yds, so you can knit 4 to 5 hats from one skein, depending on the size wanted. The yarn requires a US 5 ( 3.75 mm) needle, and is knit flat with a seam in the back. More baby hats and bonnets. And last, but far from least, is Cindy Tuscany's Cable Panache Baby Hat with strap, so darn cute knitnscribble couldn't resist it! 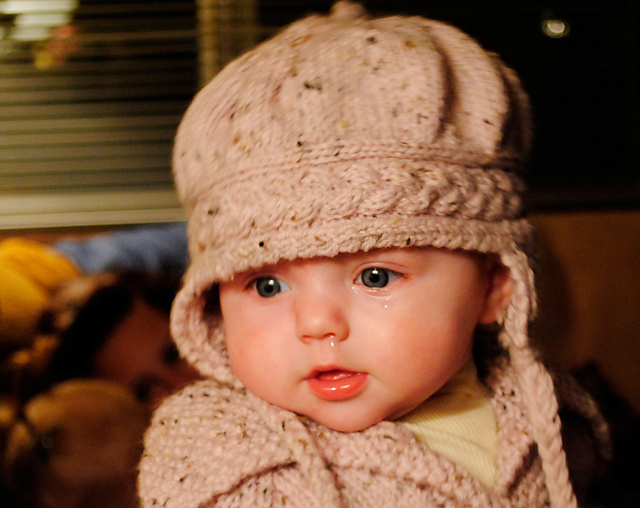 This darling baby hat fits 6-9 months. It's knit on size US 8 circular needles with worsted yarn in a gauge of 5 sts = 1 inch and has one easy cable at the bottom. It's available on Ravelry for $2.00. 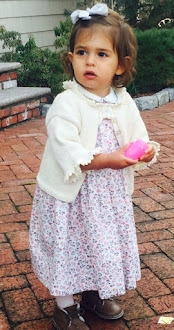 You might also like these baby, children and adult hat patterns to knit or crochet. Love the braided cable hat. Is there a sweater to match the hat? 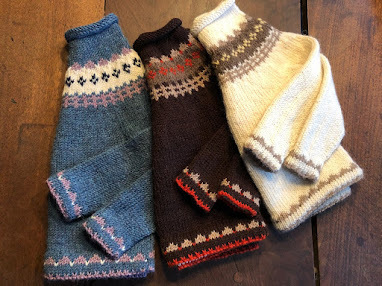 My nephew just had a baby boy yesterday and I am dying to make a sweater set for his son. They live in Michigan and it will be cold this winter. Got to keep those little ears warm. Thank you. My goal is to interact with many knitting and crochet levels of interest. Thanks for reading.